My very favorite thing to eat in Hawaii is shave ice. It is like nothing on the mainland. It is not a snow cone or an icee or even shaved ice. It is shave ice and it is divine. Our favorite shave ice shop was Breakwall on Maui. Dave, our host and shave ice maker at Breakwall, explained the intricacies of proper shave ice making and why Hawaiian shave ice differs from the icy treats most of us grew up with in the rest of the states. First of all, the ice is key. Breakwall is very choosy about the kind of ice they purchase. Dave told us the ice has to be really hard, without bubbles and of course made from really pure water. The shave ice machine is really important, too. Block shavers achieve a fluffier and finer result than cube ice shavers. And therein lies the secret to Hawaiian shave ice. The ice is shaved to a fine powder, no clumps of ice crystals or chunks of ice. And then there are the flavors. You can choose your own combination of natural flavors to create your favorite cone. I loved the Hawaiian flavors of coconut, pineapple and orange mango. But that is not all. At Breakwall, you can add homemade ice cream to your shave ice. I chose coconut ice cream. Dave plopped the coconut ice cream in the bottom of the cone, topped it with the powdery ice, and squirted my choice of flavors over the top. But that wasn't all. I asked for a snowcap which is basically a covering of sweetened condensed milk over the whole shebang. People, this is a creation! It is nectar for the gods. 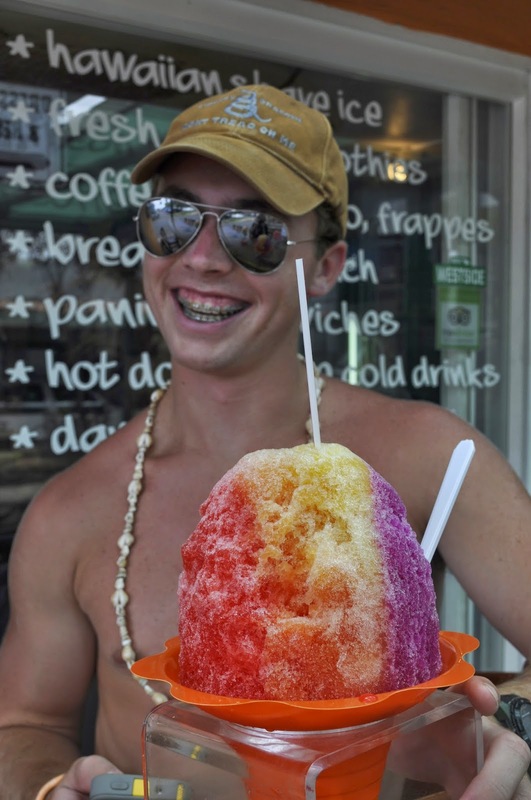 I would give anything if someone in my hometown would perfect the art of Hawaiian shave ice making and set up shop. No imitations! Now that I know what well made shave ice tastes like, no substitutions will do. If you visit Maui, check out Breakwall and please say hello to Dave for us. Tell him how much we miss his shave ice. Wow! That looks nummy! Jealousy runneth through my veins at that gorgeous mound of heavenly coldness. 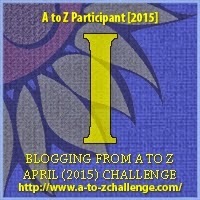 I was wondering why yet another blogger is doing posts based on alphabet letters when I looked up the badge you have on your page. I wish I'd known about this! This sounds so creative! Can you start at any time? Is it only once a year or every month? Is next month a different challenge? This is the first time I have participated in this challenge. I think it is only in April every year. The link up for this year is already closed, but you could plan on joining next year. Thank you for stopping by! The first time I participated I didn't know I had to sign up so I just went ahead, started late, and did each letter every day. Never heard of shave ice. Looks very good.